-History: We have decades of experience serving Atlanta area customers. -Affordability: Our company was founded on the idea that security should be available to every homeowner. -Customer Service: Your needs and concerns are our highest priority. That’s why you’ll always be able to reach us by phone. -Reliability: Our service, and your security system, will be there when you need it. That’s why we never require a contract. 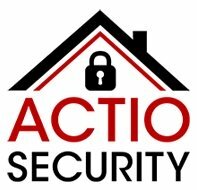 -Family: As a family business, Actio Security operates with a tight, devoted group of family members who have all grown up in the business, in fact; who’ve lived it our entire lives. Talk to us today about how we can install the right system for your home or business.